Pretty much everything we think of as making rock and roll rock and roll – the noise, the swagger, even the outlandish fashion – goes back to the 1940s and the guitar-slinging gospel shouter Sister Rosetta Tharpe. Even so, women in rock and roll have rarely gotten their due; it took until 2017 for Tharpe to become one of the (regrettably still few) women in Rock and Roll Hall of Fame recognition. But women in rock music represent some of the smartest writers, sharpest commentators, and biggest stars in the business – and some of the best educated. Unfortunately, when most people think “rock star,” their first impression is of a man (and that’s the case with our own ranking of the most educated rock stars). For one thing, when a woman picks up a guitar, she generally gets lumped into the “singer-songwriter” category – or, like Mary Chapin Carpenter, marketed as country. No matter how much she may wail on the guitar, no matter how powerful her stage presence, no matter how many arenas she can sell out, it’s hard for women in music to be called rock stars. But there’s one thing that defines rock and roll – guts – and by that measure the women on this list are all rock stars, whether their records are filed in punk, folk or indie rock. It’s also tough for women in rock to get credit for their academic accomplishments, but that’s what College Consensus is here for. Our ranking of the Best Educated Women in Rock is giving credit where credit is due – recognizing women in rock who are not only accomplished musicians, songwriters, and singers, but academically outstanding too. Rather than ranking artists (which is entirely subjective, unlike our national and regional rankings), the ranking is ordered by the College Consensus score of the artist’s alma mater. The 90s were a great era for smart, literate women in rock music, and none is quite as ripe for rediscovery as Poe. The groundbreaking singer-songwriter who was born Anne Danielewski (sister of famed postmodern novelist Mark Z. Danielewski, with whom she has collaborated) was simultaneously ahead of her time, and perfectly grounded in it. Poe delivered a hit first album, Hello (1995) that seamlessly brought together alternative rock, hip-hop, electronica, and other genres – even the legendary J Dilla saw Poe’s potential, producing her early demos. It was obvious from the beginning that there was something about Poe. There had always been something about Poe. If the stage name didn’t make it clear, there were few songwriters in the 1990s or at any other time who could bring the literate and lyrical depth that Poe captured. A graduate of Princeton University (with a full scholarship, one of the reasons Princeton is known as a tuition-free college), Poe’s lyrical brilliance and musical adventurousness made her a name to watch. While her second album, Haunted, made good on the promise of the first in 2000, label mergers, legal wrangling, and bad management locked Poe out of recording for most of the 2000s, though songwriting, producing, and licensing kept her in the business. So by all means, bring Poe back. American music is ready for her again. Before Zooey Deschanel, before “manic pixie dream girl” or “adorkable” were even words, much less in the dictionary, there was Lisa Loeb, with her chunky black glasses, poetic lyrics, and cool-nerd personality. It wasn’t an image calculated for the media, either – it was pretty much just Lisa Loeb, who came from a medical family in Dallas, TX, excelled in an all-girls prep school, and graduated from Brown University, Rhode Island’s Ivy League institution. By any standard, she’s easily one of the best-educated women in rock. With a degree in comparative literature, it should be no surprise that Loeb’s lyrics are exceptionally literate (her first band, Nine Stories, was named for a J.D. Salinger short story collection). After Brown, Loeb did her time in coffeehouses, rock clubs, and festivals, but she found her place among women in rock music when her neighbor, Ethan Hawke, recommended her to Ben Stiller, who was directing Hawke in a little movie called Reality Bites. Lisa Loeb was right at home in the archetypal Generation X film, with her songs featured alongside stars like Winona Ryder and Janeane Garofalo. Loeb’s theme for the film, “Stay (I Missed You)” became the first single to hit #1 on the Billboard chart by an artist without a record deal. Since her first hits, Loeb has recorded albums for adults and children, written children’s books, and, of course, launched her own line of eyeglasses – success for one of the most educated women in music. One of the most successful women in rock in the 1980s and 90s, Suzanne Vega was a precocious artist, writing poetry at 9 years old, and her first song just a few years later. As a teenager Vega was a student (studying dance) in New York City’s famed High School of Performing Arts, inspiration for the movie and TV series Fame, and alma mater of countless actors, musicians, and dancers. It was not until her time as a student at the elite liberal arts institution Barnard College (one of the best women’s colleges in the nation) that Vega began performing her original songs in coffeehouses around New York, earning a record deal in 1984 as one of the first Fast Folk artists to break out (a collective that included Tracy Chapman, Shawn Colvin, and Michelle Shocked). Vega’s college education in English certainly comes through in her lyrics, which were immediately praised for their depth, detail, and craft. One of the most educated women in rock music, Vega’s most characteristic songs, such as her biggest hits “Luka” and “Tom’s Diner” (named for the restaurant where Vega spent nights studying – and which became even more famous as the diner on Seinfeld) are known for their narrative qualities and strong characterizations. Every Suzanne Vega song is a fully realized story, and Vega’s influence on women in rock music in the three decades since can still be seen clearly. When Liz Phair titled her 1992 debut album Exile in Guyville, a rip on the Rolling Stones’ 1972 classic Exile on Main Street, it was one of the boldest declarations of a whole generation of bold women in rock and roll: pushing aside the old and in-the-way rock stars of yesterday, like rock and roll is always supposed to do. Liz Phair didn’t always look like a rebel – she was a highly-involved honors student in high school, and graduated from Oberlin College (known for its swanky dorms) with a degree in art history, like her mother, a historian and curator. Not likely to start a revolution, in other words. Phair got into music after meeting fellow Oberlin student Chris Brokaw, who encouraged her to start performing, first in San Francisco, then in Chicago, where she gained attention performing as Girly Sound and signed to Matador Records. When Exile in Guyville arrived, its blunt, sexually aggressive lyrics and classic sound exploded out of indie rock into the mainstream, opening doors for foul-mouthed, brutally honest women rock stars from contemporaries like Garbage to today’s indie rock women, like Courtney Barnett and Waxahatchee. The Indigo Girls may be two of the best educated women in music, but they said pretty much all they had to say about higher education in their hit, “Closer to Fine”: “I spent four years prostrate to the higher mind / Got my paper and I was free.” Not the greatest marketing slogan for Amy Ray and Emily Saliers’ alma mater, Emory University, but as one of the elite Southern Ivies, Emory doesn’t necessarily need the boost. Ray and Saliers (who both studied English at Emory, naturally) met in elementary school, performed as a duo in high school, and went their separate ways to different colleges after graduating, before homesickness brought them back to their hometown of Atlanta, GA. 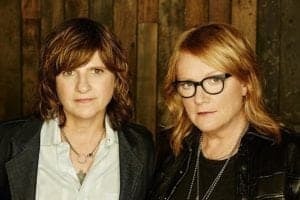 The Indigo Girls were part of a wave of folky female singer-songwriters that hit in the late 1980s (such as Suzanne Vega and Tracy Chapman), and their witty lyrics and warm harmonies made them immediate stand-outs in the scene. Over their 30-year career together Ray and Saliers have performed in all sort of iterations, from duo to full band to side projects and solo albums, but their loyal and adoring fanbase always brings them back to the Indigo Girls. Their status as philanthropists, activists, and LGBT icons has kept them current through a multitude of changes in the music business. David Byrne might have been the frontman of Talking Heads (one of the best bands that met in college), but Tina Weymouth was the band’s funky, unflappable backbone. As a student at the Rhode Island School of Design (known for one of the best college dining halls), Weymouth had no interest in performing in a band, and only some teenage experience playing guitar; her closest connection to music was driving her boyfriend Chris Franz and Byrne to gigs around Providence. When the three of them moved to New York together, Franz convinced Weymouth to try the bass, since he and Byrne couldn’t find a bass player for their new band. Incredibly, Weymouth had only been practicing for less than six months when the band opened for the Ramones in 1975, but that was punk rock. Weymouth’s style mixed Motown melody with funk rhythm, and after a year of intense rehearsal to meet Byrne’s exacting demands, Tina Weymouth had turned into the heart of the Talking Heads sound, crafting unmistakable bass riffs to make Byrne’s avant-garde lyrics danceable. Weymouth not only influenced the sound of punk and new wave extensively, but inspired generations of women bassists, including The Pixies’ Kim Deal, Sonic Youth’s Kim Gordon, and the Smashing Pumpkins’ D’Arcy Wretzky and Melissa Auf de Mar. With her rich voice and memorably melodic guitar playing, Tracy Chapman captured the American music scene with her first album in 1988, winning Grammys for Best New Artist and Best Contemporary Folk Recording. But Chapman was always going to be special; her mother encouraged her love of music, buying her a ukulele at three years old, and a guitar at 8 years old when Chapman was entranced by the spectacularly decorated guitars on the syndicated country-music show Hee-Haw. Raised in Cleveland, OH, Chapman’s academic excellence brought her sponsorship by a group called A Better Chance. With her scholarship, Chapman attended a prep school in Connecticut, which led her to Tufts University, where she earned a degree in anthropology and African studies. As a student, Chapman began busking in Harvard Square and the coffeehouses around Cambridge and Boston, where she refined her craft. While string of hit singles, including “Fast Car,” “Talkin’ ‘bout a Revolution,” and “Give Me One Reason” made her a star, Chapman is better known for her political activism, working to alleviate poverty and human rights abuses all over the world and in the US. One of the best educated women in music, Tracy Chapman is also one of the most giving. Grammy winner and philanthropist Sheryl Crow came from a musical family, but her story is the opposite of an overnight success. Raised in Missouri by a piano-teacher mother and an attorney father (who played trumpet for fun), Crow was an all-state athlete, honors student, and beauty queen before going to college at the University of Missouri – one of the best green colleges with one of the best college rec centers in the US. After earning her bachelor’s in music composition and education, Crow worked as an elementary school music teacher, singing on the weekend and making money singing advertising jingles for regional and national companies, including McDonald’s. From graduating college to her first album in 1994, Crow spent a decade as a backup singer; an attempt at a debut album in 1992 was never released, but songs from the album were covered by stars including Celine Dion and Tina Turner, giving Crow what she needed to make her break. With 4 hit singles and more than 7 million in sales, Crow’s debut album, Tuesday Night Music Club, made her one of the hottest new stars of the 90s, and her mix of rock, pop, and Americana influences have made her one of the most reliable crowd-pleasing women in rock and roll for well over two decades. 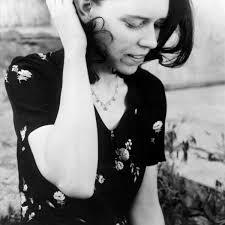 One of the most acclaimed and influential folk musicians of her generation, Gillian Welch was apparently destined for musical greatness. Adopted at birth, Welch knows only that her biological mother was a college student born and raised in the Appalachian mountains, and that her biological father was a drummer (she confesses to fantasizing that it was Levon Helm of The Band). Her adoptive parents were musicians who wrote for Carol Burnett and the Tonight Show. She excelled at the Crossroads School and graduated from the University of California Santa Cruz (one of the nation’s best beach colleges) with a photography major, then went to the Berklee College of Music as a songwriter with her partner David Rawlings to fulfil the aforesaid destiny. Calling themselves a “two-person band named Gillian Welch,” Welch and Rawlings moved to Nashville, TN, where Welch’s stark songwriting, Rawlings’ intricate guitar, and their haunting harmonies drew attention from famed producer T-Bone Burnett. Since Welch’s debut in 1996, Welch has been one of the standard-bearers for contemporary folk music, from movie soundtracks to festivals around the world. Folk music and schooling may seem like a surprising match, but Gillian Welch is one of the best educated women in music, and her knowledge gives depth and wisdom to all of her songs. A pioneering riot grrrl and queercore artist, Carrie Brownstein was at the forefront of women in rock and roll in the 1990s, including bands Excuse 17 and Sleater-Kinney. Growing up in the suburbs of Seattle, Brownstein started playing guitar in high school, learning from her neighbor (Seattle icon Jeremy Enigk). Brownstein began college at Western Washington State, but found her place at the Evergreen State University, a public liberal arts college known for its experimental, exploratory approach to learning (and for its somatics major, one of the most unusual degrees in the US). Majoring in sociolinguistics is a departure for a future rock revolutionary, but it was where Brownstein met Corin Tucker and Kathleen Hanna – the core of Riot Grrrl. Brownstein and Tucker started Sleater-Kinney after their own bands (Excuse 17 and Heavens to Betsy) broke up. Through the late 90s and early 00s, Sleater-Kinney combined their fast and loud punk roots with Tucker and Brownstein’s smart, sarcastic, and politically charged lyrics on songs like “I Wanna Be Your Joey Ramone” and “Dig Me Out.” While Sleater-Kinney is often named among the greatest bands of the era, Brownstein has also been acclaimed as an essayist, critic, and actor, particularly on TV’s Portlandia, a satirical series skewering the coolest city in the Pacific Northwest.